this was me on monday. on tuesday night it was even better. performance highs are better than anything, drunken dancing, storms on beaches, new leather boots, anything. i don't have much to say in this post... just i love you all? 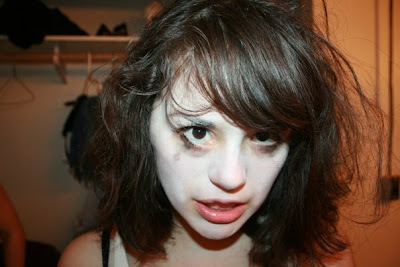 i thought you'd enjoy my zombie face? life is kind of stressful right about now. exams and obligations and such.